We are raising the necessary funds to create a world-class recording with Grammy-Award winning producers Soundmirror in what will become the first commercial recording of this piece. We are very grateful to all of our 147 donors – over 120 of whom were first-time supporters of EXO – for their contributions of over $25,000 towards this project. Thank you for your support! If you missed the deadline or have just heard about the project, you can contribute by clicking the PayPal button below or sending a check to the address below. T-shirt campaign “Herstory” created by The Outrage DC are available here. 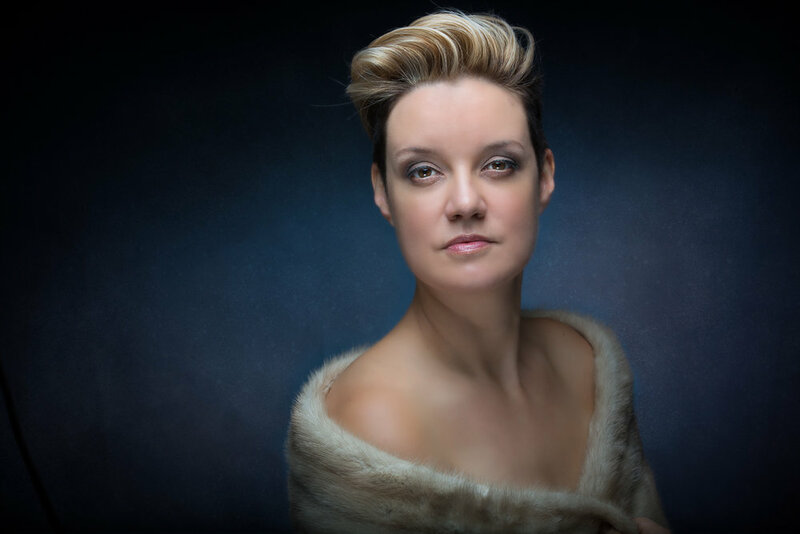 Soloists will be Sarah Brailey and Grammy-Award winning Bass-baritone Dashon Burton; the Chorus will be drawn from the Grammy-nominated Clarion Choir under the direction of Steven Fox. EXO will create a world-class recording of this 75-minute symphony, using newly-created professional parts created for G. Schirmer and Novello & Company, edited by James Blachly. Determined to become a composer despite discrimination based on her gender, she defied her father, studying music in Leipzig. In short order, she met and became close with Dvorak, Grieg, Clara Schumann and Johannes Brahms, among others; Tchaikovsky once wrote: "Miss Smyth is one of the comparatively few women composers who may be seriously reckoned among the workers in this sphere of music." Critics of her music could often only hear her music in terms of her gender. One review said of her opera The Wreckers that it was "pretty good-for a woman." Others saw her as one of the great English composers, and treated her music as such. But even favorable reviews tended to make some derogatory comment about either her gender (finding the music "too feminine") or her femininity (finding the music "too masculine"). In 1934, on a festival of her music organized on her 75th birthday, Sir Thomas Beecham conducted a gala concert in the presence of the Queen. By that time, however, her deafness had advanced to such a degree that she could not hear the rapturous applause. Due to her advancing deafness, shortly after composing this piece, she ceased to compose at all. It is her culminating work in several regards, both in content, textual significance, and musical language; the libretto is by Henry Bennet Brewster, who was her lover and one of her closest and life-long friends, with whom she exchanged more than 1,000 letters between 1884 and his tragic death in 1908. After he died, she wrote "I felt then like a rudderless ship aimlessly drifting hither and thither." Shortly before the premiere of The Prison, she personally undertook to have the full text published as a book. The depth of her intention may be understood from the quote she chose to place on the title page from Plotinus: "I am striving to release that which is divine within us, and to merge it in the universally divine." With this recording of top-level musicians and with the best production team available, we aim to bring this extraordinary music to the attention of music lovers around the world, and, in time, to inspire other orchestras to perform this masterpiece. For that reason, we have created preparing performance-ready computerized parts and providing them to the publisher for their use going forward. For more information about how to support the project, please click here, or contact us at info@experientialorchestra.com. As EXO Music Director James Blachly says, "we believe that the world is finally ready for her music."